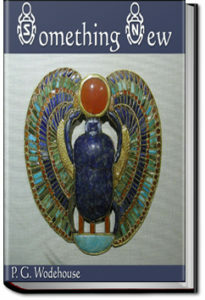 When the absent-minded Earl of Emsworth wanders off with the pride of his scarab collection, American millionaire J. Preston Peters is willing to pay $5000 to the person who can get it back for him. Discretion is necessary since Peters’ daughter is engaged to Emsworth’s son. Joan Valentine and Ashe Marson both decide to go after the reward—she as Aline Peter’s ladies maid, and he as Mr. Peter’s valet—and they all end up at Blandings Castle. But is it possible for anyone to steal back the scarab with The Efficient Baxter ever vigilant? This entry was posted in Reading on September 20, 2017 by all-you-can-books.